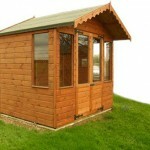 Established since 1989, Chris Hill’s workshop and show site is situated at Water Stratford, Nr Buckingham. We work with the finest Scandinavian timber that has been preserved with a fungicidal solution, this provides a base coat, but customers are always encouraged to stain or preserve their products after installation. 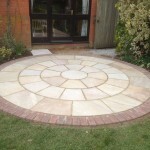 We offer a bespoke design service. 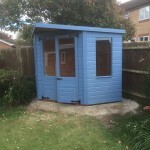 D & A Sheds are also able to supply and lay of paving slabs of all sizes and specifications. 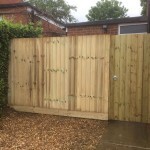 All types of wooden fencing supplied and erected. 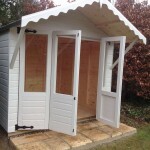 All prices quoted are inclusive of VAT, delivery is free within a 25 mile radius.